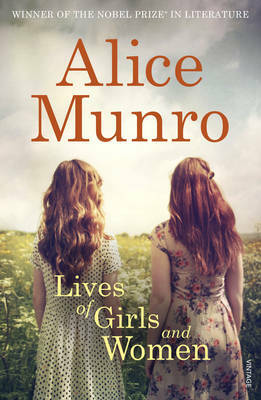 It’s nice to share a cover with Alice Munro – but I’m sorry she didn’t get any fire with hers! 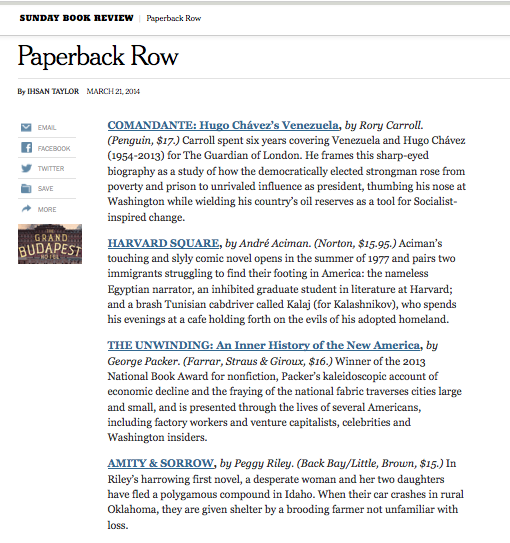 Three cheers for the New York Times Book Review! So very, very pleased to be included in their Paperback Row! 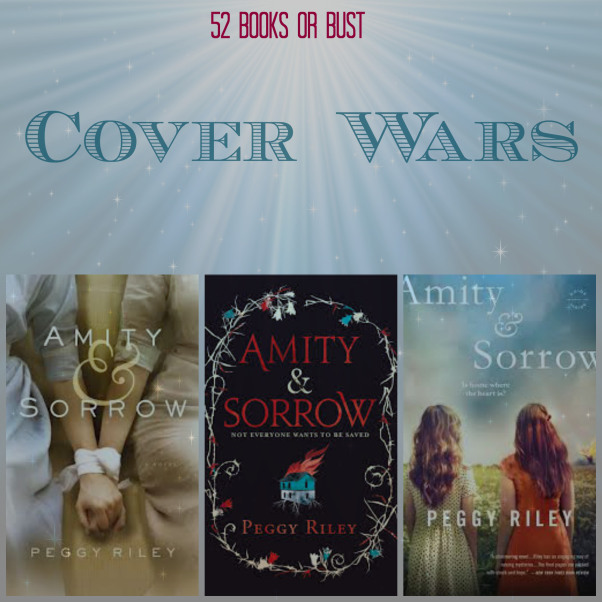 Today is the last day to vote on the Cover Wars, currently being waged on 52 Books or Bust. Of course, I love ALL the covers, but the UK one is significantly in the lead. What gets your vote? Pop on over and let them know! The Prophet’s Daughters is the title for Amity & Sorrow with French publisher, Presses de la Cite. I’m very excited to share the cover and the first chapters of the book – in French! 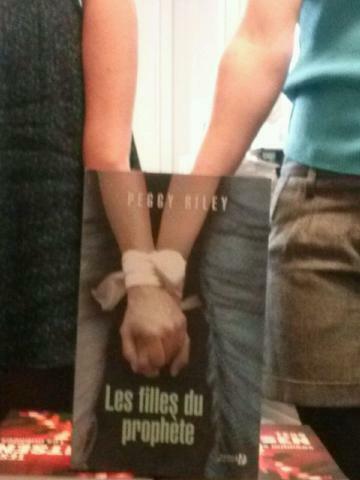 And here is a Trompe l’oeil of the book cover – that’s what the cool kids of Presses de la Cite do with their jackets! 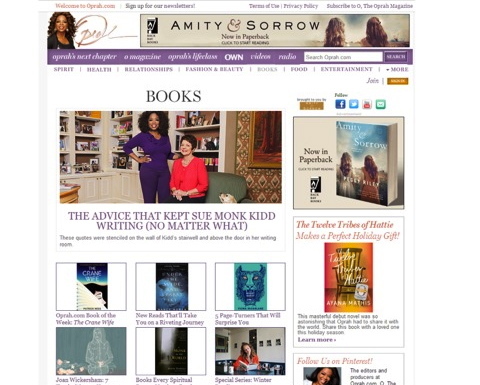 Here’s Amity & Sorrow, hanging out on the Oprah site. (When you click the link, you might see me. I only get John Lewis and KLM, so that will tell you something about my googling history.) Either way, it’s a fine place for a new paperback to be! 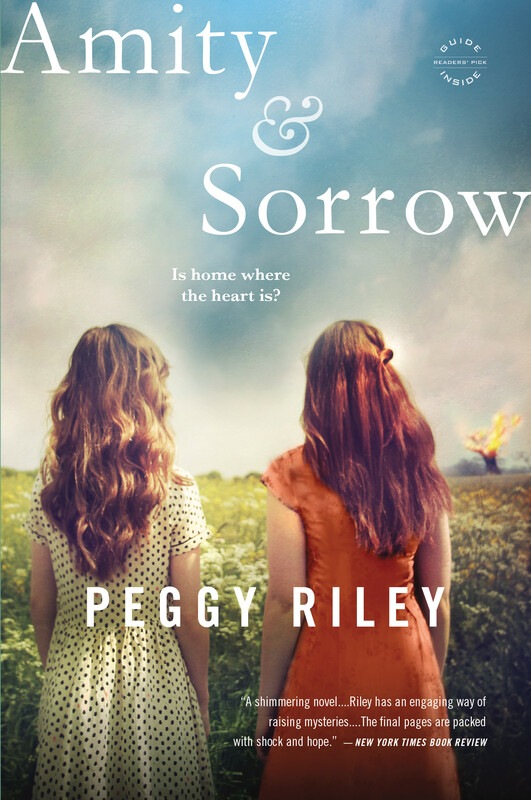 Hurrah for Amity & Sorrow, out now in paperback with Little, Brown. I’ve spotted it on the Barnes and Noble site, Amazon, and even my family’s shop in South Pasadena (that’s my mom in the chair, there). It will be on the shelves at Target next week. If you spot it, do let me know! 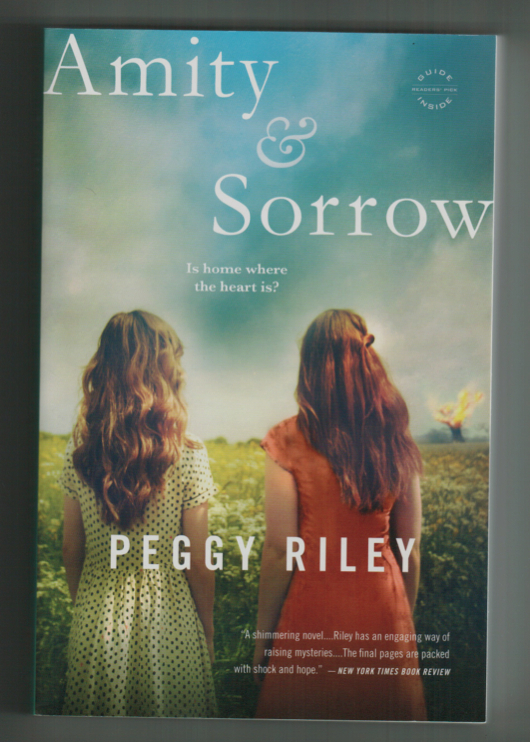 So thrilled to receive a copy of the US paperback of Amity & Sorrow, out 4 February from Little, Brown/Back Bay Books. Thank you! 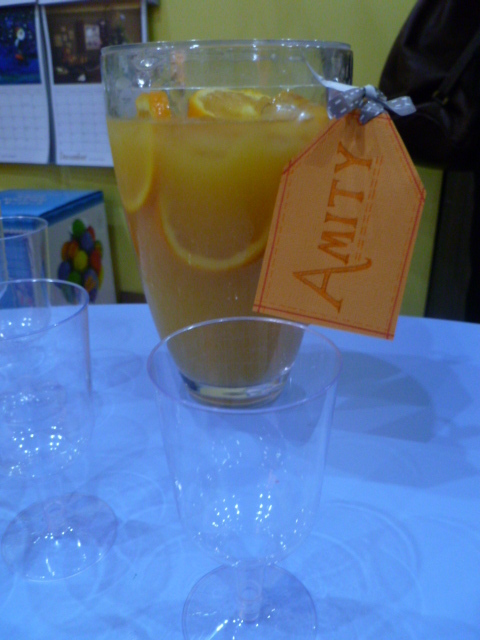 For the paperback release of Amity & Sorrow, I have been thoroughly spoiled – and I’ve loved every minute of it! Lovely booksellers have gathered their book clubs together for cake feasts in Wallingford, for themed cocktails and canapes in St. Anne’s, and for wine and great chat in Lytham. The lovely librarians of Lancashire and Canterbury have moved all their shelves around and unfolded their chairs to host reading and discussions for their readers. This coming Thursday, the wonderful Firestation Arts Centre in Windsor is hosting a Book Swap with me and Tinder author Morgan McCarthy, an evening of book chats, homemade cakes, and the opportunity to swap books you love with other readers. Again and again, I am delighted and impressed by the creativity and enthusiasm of book people, from the owners of splendid independent shops that are at the very hearts of their communities to libraries, big and small, finding innovative ways to reach readers. The press is full of doom and gloom about books, but I don’t see it. I see rooms full of readers, buzzing about books. I see passion and drive in the people who order books, who sell them and shelve them. I see great initiatives like “Books Are My Bag” – and they sure are mine. Books are only hunks of paper if they’re not being read – it’s reading that turns them into stories. Special thanks to Storytellers Inc., St. Anne’s; The Wallingford Bookshop, Oxfordshire; Plackitt & Booth, Lytham; Harbour Books, Whitstable; Lancashire County Council and the lovely libraries of Kirkham, Thornton, Ansdall, and Canterbury Council and The Beaney House of Art and Knowledge for inviting me in to meet your readers. I am one grateful and happy writer. 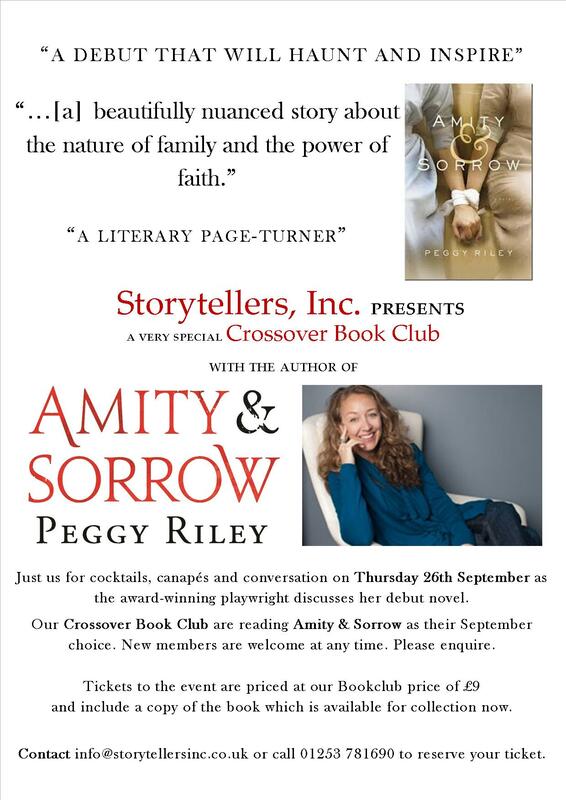 The Amity & Sorrow Great Northern Paperback Tour! 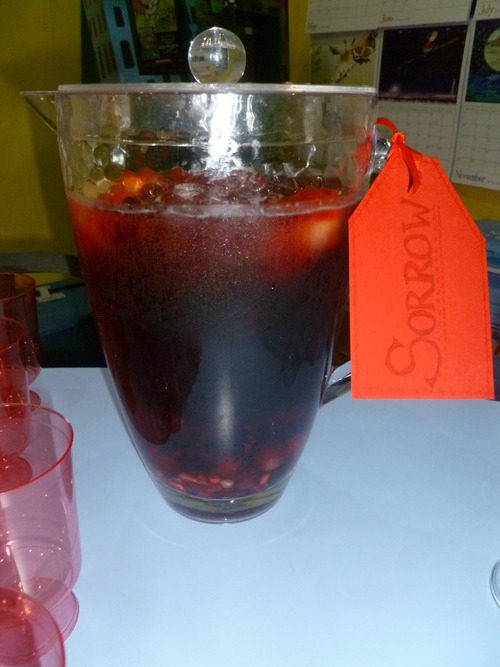 In celebration of the paperback release of Amity & Sorrow, I’m delighted to be packing my bag and hitting the road. Come up and see me! Tuesday 24 September, 7:30 pm: Wallingford Bookshop Book Club, Oxfordshire. Tickets are free to book club members. You can tweet Wallingford Bookshop @wallingfordbook for more info. Wednesday 25 September, 7:30 pm: Kirkham Library, Preston, Lancashire. Free tickets available from the library. Thursday 26 September, 11:00 am: Thornton Library, Lancashire. Free tickets available from the library. Thursday 26 September, 3:00 pm: Ansdell Library, Lancashire. Free tickets available from the library. Thursday 26 September, 8:00 pm: Cocktails, Canapes & Cults: The Crossover Bookclub at Storytellers, Inc. St. Annes-on-Sea, Lancashire. Tickets £9, which includes copy of book. Email info@storytellersinc.co.uk to reserve a ticket. Friday 27 September, 7:00 pm: An Evening with Jenn Ashworth & Peggy Riley, Plackitt and Booth Booksellers, Lytham, Lancashire.